A guide to roarsome dinosaur days out for toddlers in the UK. Discover the best dinosaur attractions for toddlers near you. 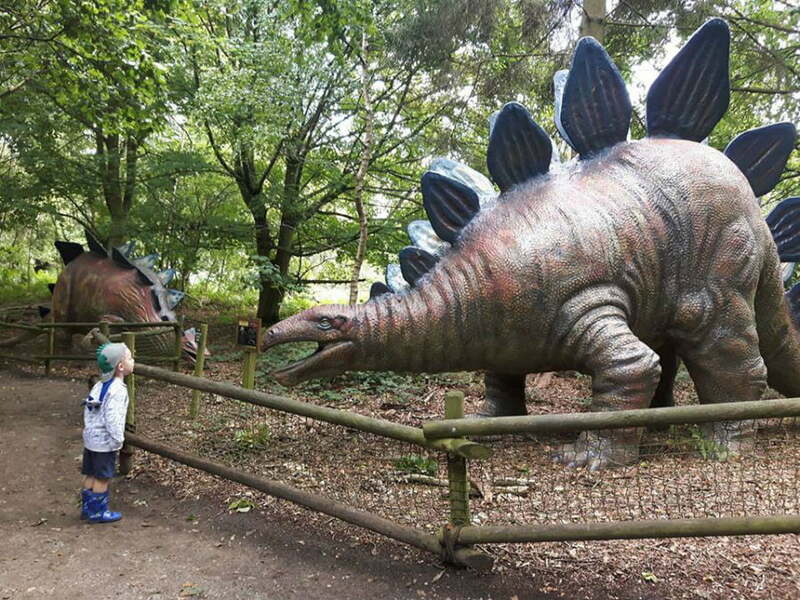 Dinosaur loving toddlers will love a day out at this award winning attraction in Norfolk. There are 85 acres of dinosaur fun including a Dinosaur Trail with an 8 metre Spinosaurus, T-Rex, Brachiosaurus, Stegosaurus and Triceratops. There is also a Secret Animal Garden, which is home to non-prehistoric pigs, wallabies, tortoises and other animals. A Dino Of the Day show takes place during peak times, and there is also a giant spiders web and a special Tiny Terrosaurs play area for Under 7s. Cool off in Dippy’s Splash Zone in summer – a fantastic new addition to the park with a 755 square meter water play area with 31 water features including a giant tipping bucket and slide. Dinosaur Isle is Britain’s first purpose built dinosaur attraction located in the Isle of Wight. The building is shaped like a flying Pterosaur, and in the museum you can take a trip back to 120 million years ago to when dinosaurs lived. Toddlers will be able to meet life sized versions of the Isle of Wight’s five dinosaurs and hear the pterodactyls flying above. There is even a robotic dinosaur that you can control! Meet over 30 dinosaurs and farmyard animals at Gullivers Lost World of Living Dinosaurs in Milton Keynes. The dinosaurs are animatronic so move aboutrealistically. There is also a reptile and bug centre, and play barn to visit afterwards. Adults £9.95, Child £9.95, Under 90cm free. Have a roarsome day out digging for dinosaur fossils at the Dinosaur Park in Tenby, Pembrokeshire. 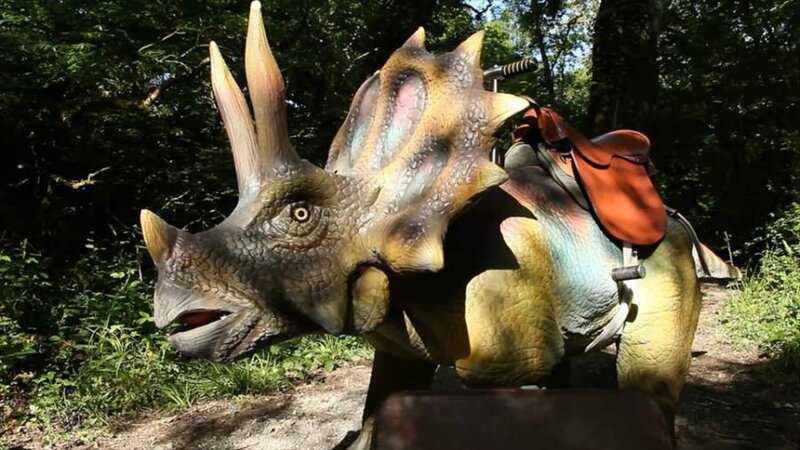 You can also go on an adventure on the mile long dinosaur trail deep in the woods, where you can spot 30 life size dinosaurs hidden in the undergrowth. There are also lots of non dinosaur related activities at the Dinosaur Park such as an astra slide, bubble ride, disco boats, moto quads, trampolines, motorised tractors and the only tube slide in Wales! There is an indoor adventure play in case it rains too. Adults £12.50, Child £11.25, Under 2s FREE. Get transported back in time at the Lost Kingdom at Paultons Park in Hampshire. 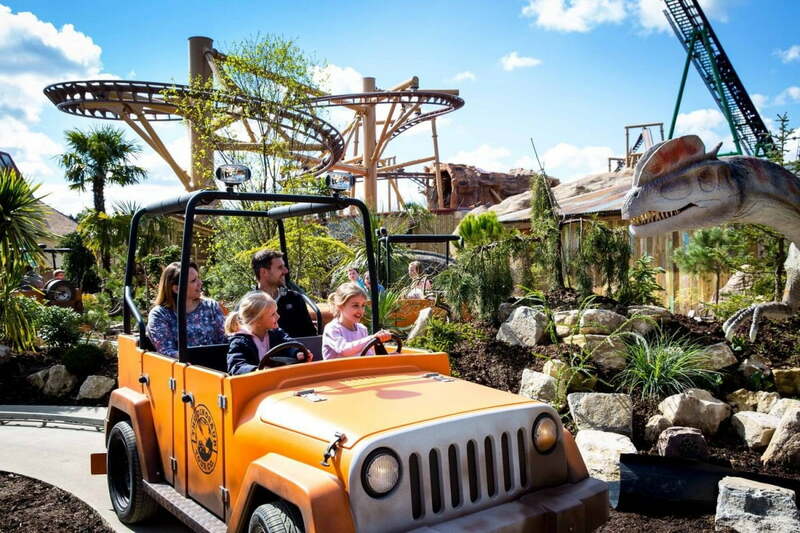 The Dinosaur theme park has loads of dinosaur attractions including 2 rollercoasters, life like dinosaurs, Jurassic themed family rides and a dinosaur themed adventure play area. The Velociraptor is a family friendly roller coaster, and the Dino Chase roller coaster is especially for little ones. There is also a Dinosaur Tour where you can go on a 4×4 jeep where you will come face to face with dinosaurs. Little Explorers is an outdoor dinosaur adventure play are designed for little children. And you can combine it with a trip to Peppa Pig World too! 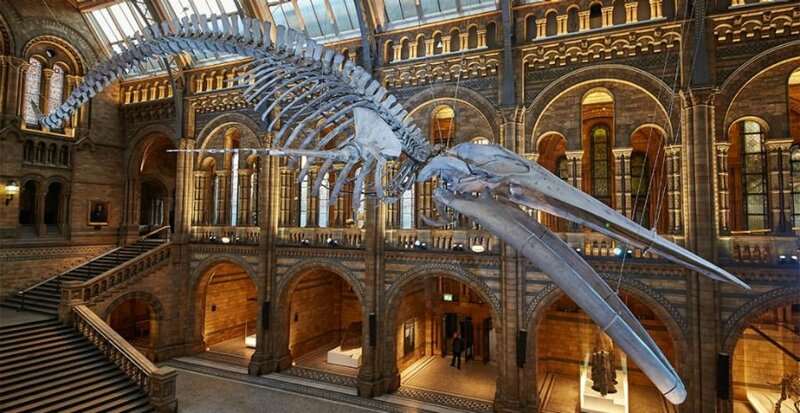 The dinosaurs at the Natural History are world famous, and are unmissable for any dinosaur lover. At the NHM you can meet a T-Rex, see the skull of a Triceraptops and wander among fossils in the Dinosaur Gallery. There is a special Dinosaur shop selling dinosaur themed gifts and toys, and a dinosaur trail if you are short on time. Older children (aged 7+) can take part in the Dinosnores sleepover event. 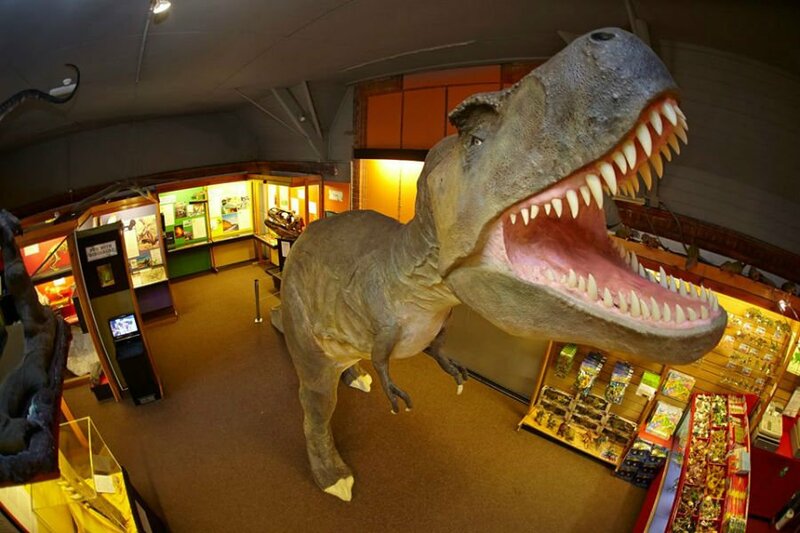 The award winning Dinosaur Museum is Dorset is devoted just to dinosaurs. 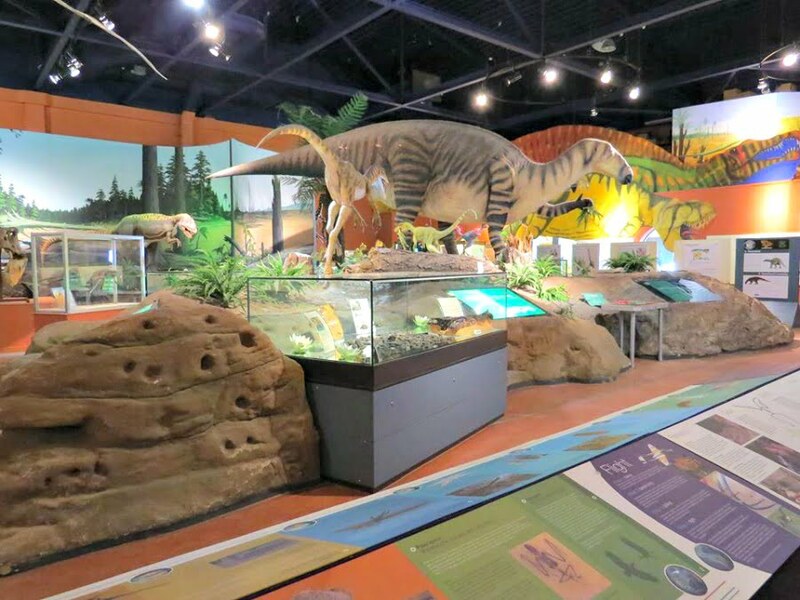 The musuem combines life-sized reconstructions of dinosaurs with fossils and skeletons to create a hands-on experience for children. There are also multimedia displays to tell the story of the dinosaurs and how they lived. Toddlers will love seeing the ‘fleshed out’ dinosaur reconstructions of T Rex’s Stegosaurus and Triceratops – and the best bit is that touching is encouraged at the Dinosaur Museum. Step back 150 million years at Dino Park, and discover the giants who roamed the earth. Take a trip through the Dino Mine, hear stories and facts in the Dino Den, dig for fossils and have fun on the bouncy dinosaur. The perfect dinosaur day out in Scotland. 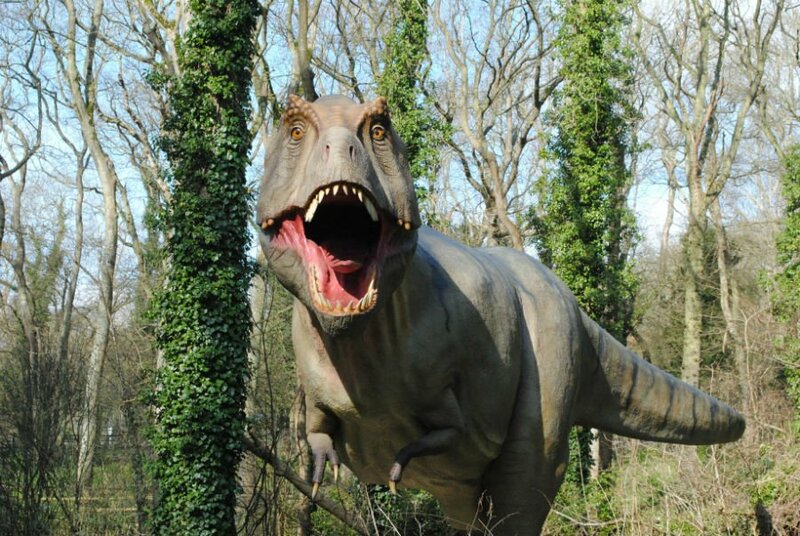 Visit the Port Lympne Reserve in Kent, and get free access to the new Dinosaur Forest attraction. 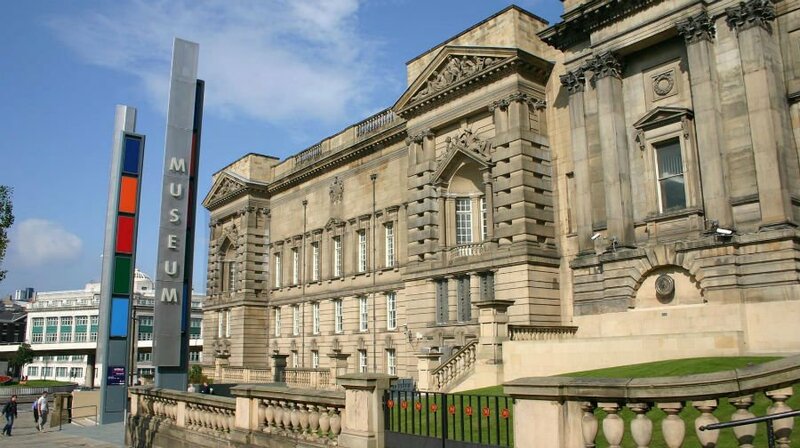 This is the home to 103 prehistoric creatures, and with more expected at a later date, it will become the largest collection of life sized dinosaurs in Europe. Marvel at the T-REX, stare at the Stegosaurus, see a Pterodactly, and see just how big a Diplodocus was! Visitors are advised to download a virtual reality app beforehand to make the dinosaurs come to life. Can you recommend anymore dinosaur days out for toddlers? I’m saving this for later use! My boys are dino mad. 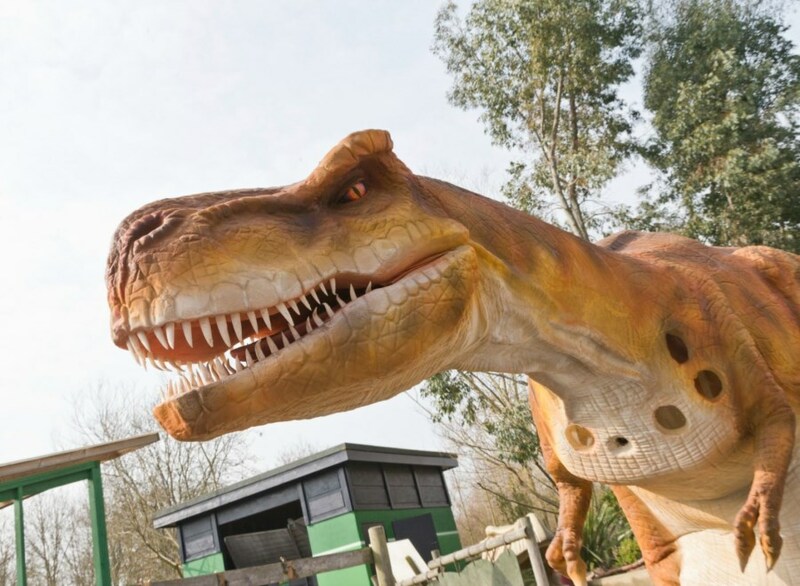 We love our local attraction – https://www.allthingswild.co.uk/ its got a brilliant dino barn with moving, interactive dinosaurs and also a dino trail which you can either walk around or go around on a ‘train’. I thoroughly recommend it if you are ever near Evesham Jo!